Old london town, home to the world's oldest continuous city archive, and easily the most cosmopolitan city on earth ( I know many of you believe that title belongs to NYC, but yer just showing yer ignorance). 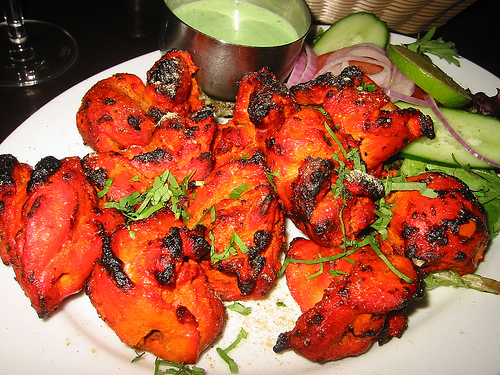 Here in old blighty the national dish is Chicken Tikka Masala, sounds Indian right? Invented for serving to people with a skin-full of 'wife beater' [not the vest a strong Belgian larger] the national drink. While we are guilty of all the things we happily project on to the French - rude and standoffish, and the stereotypes we hold true about the New Yorkers - pushy, aggressive, greedy are far far truer about us. Every so often a random meeting with a member of the GBP (great british public) reminds me why I still live here despite the many excellent reasons to swim, rat-like, from the sinking ship that is Albion. I was on the south bank of the Thames the other afternoon visiting what was in Shakespeare's time the theatre district. In those day the theatre was a rowdy, boisterous night out, with plenty of talk of sedition on and off stage. So the theatres were set up on the southern bank of the river where they were outside the jurisdiction of the city fathers, but near enough to draw a crowd. By chance I happened on a chap fishing, and we spent an enjoyable few minutes shooting the breeze about all things Eel fishing. An education ensued. I, it turns out, am way way behind the times with my 'bacon bait' strategy, apparently Eels have long been turning their noses up at bacon. But the good news is, much like myself after a skin full, they are unable to turn up a chicken Tikka Massala. Ledgered baits on a hook no bigger than 8 (although 6 has many proponents). Our man recommends ASDA as the best source of such bait, but as so many of you live a long walk from the nearest branch I thought a recipe would help. Marinade long, Cook slow. Eat well, Save scraps for bait. Just to prove that no good deed (or shared fishing tip) goes un-rewarded. One tourist was so taken with his bonhomie and advice - describing it as 'wikkid awesome', that she gave him a lesson in 'Massachusetts tongue kung-fu'. Lucky lucky boy.